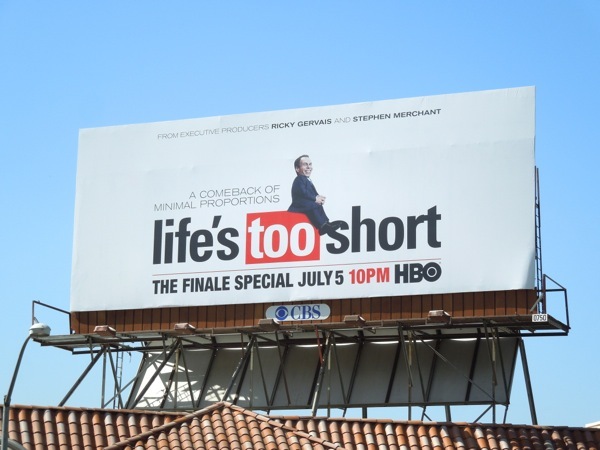 Rather than commit to a second season of Life's Too Short, the mockumentary following the acting career struggles of Warwick Davis, writers Ricky Gervais and Stephen Merchant have opted for a finale special instead to bring the series to a close. 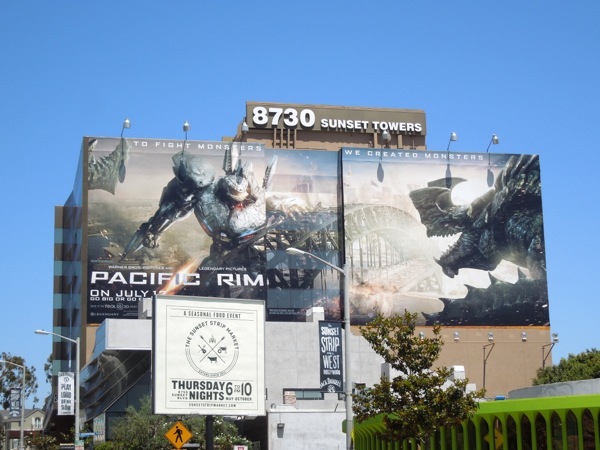 The HBO special will reunite the diminutive actor with his fellow Willow movie star, Val Kilmer, which should make for some laughs no doubt. 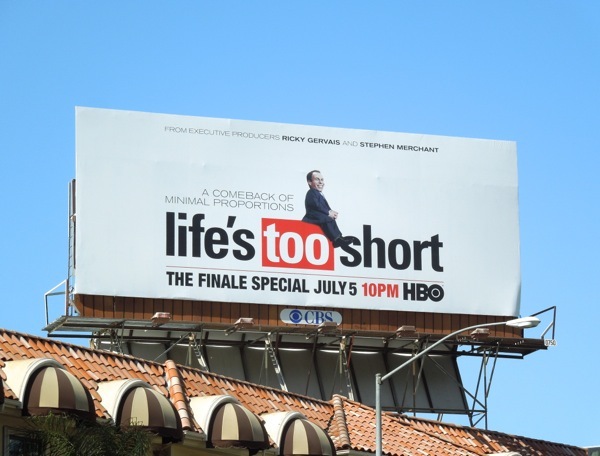 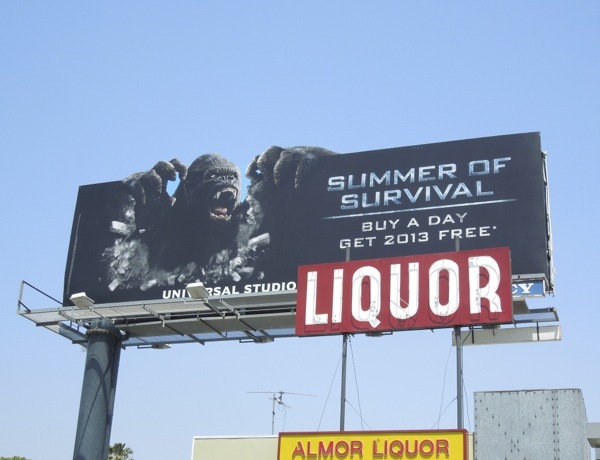 This fun series finale billboard ad for Life's Too Short was snapped along Sunset Boulevard on June 19, 2013. 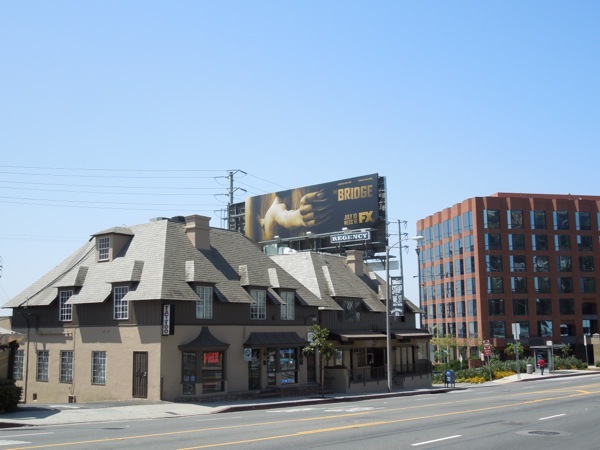 This may have been a comeback of minimal proportions as the tagline suggests, but when you've portrayed a magical professor, goblin, elf, leprechaun, mouse and a heroic dwarf, playing a fictional version of yourself in a documentary sitcom must seem rather dull by comparison. 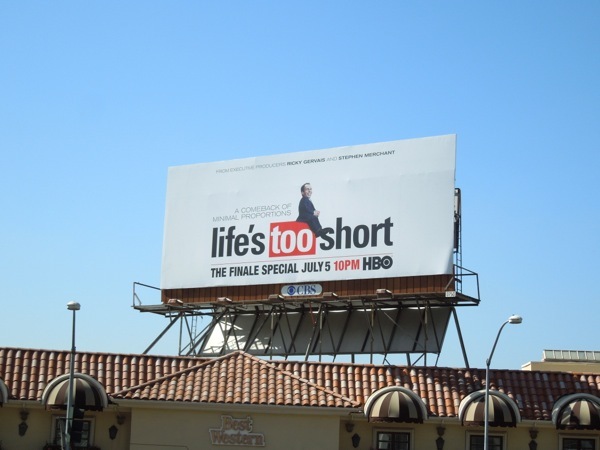 If you're a fan of the show and everyone's favourite Ewok, be sure to also check out the series launch billboards for Life's Too Short from February 2012 here at Daily Billboard (at least this time Warwick gets the chance to hog all the limelight for himself and doesn't have to share it with Ricky Gervais). 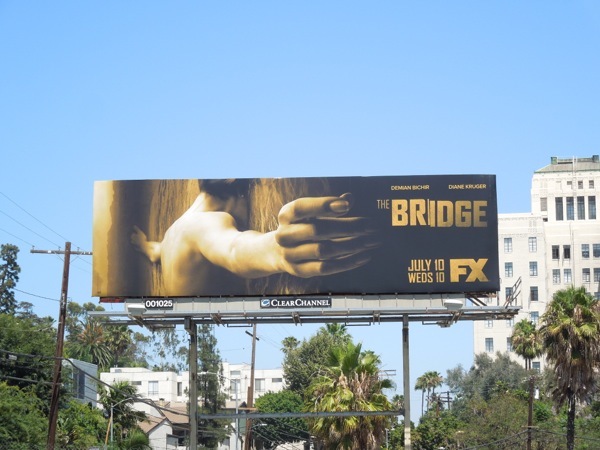 Now how are two intriguing and arresting ad creatives for the U.S. remake of The Bridge, debuting soon on FX. 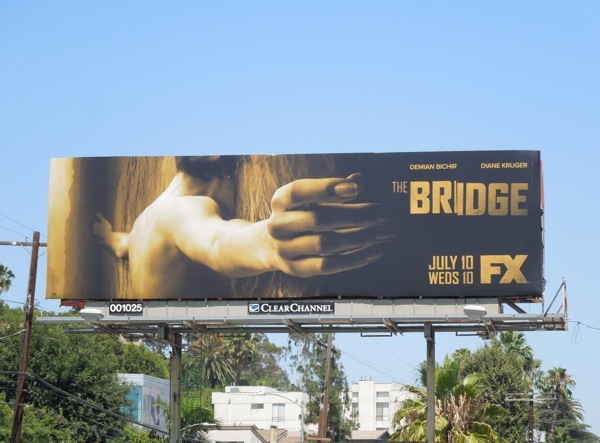 The new crime thriller is based on the Danish/Swedish series of the same name, but this time the investigation takes place at the border crossing bridge between El Paso, Texas and Juàrez, Mexico requiring two police officers, one Mexican and one American, to cooperate to solve the mystery of a serial killer terrorising both sides of the U.S./Mexico border. 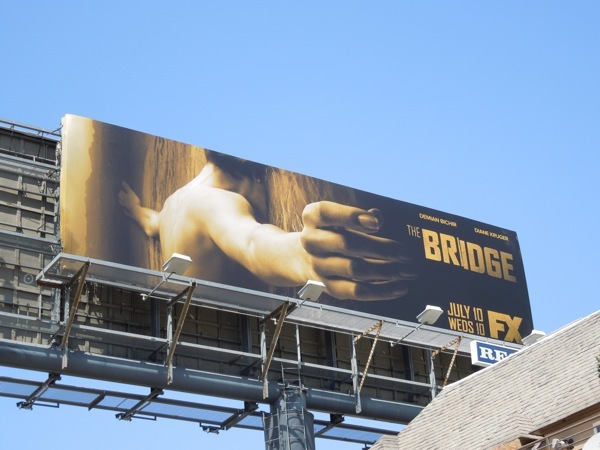 Diane Kruger stars as 'Sonya Cross' from El Paso PD who must team up with 'Marco Ruiz' (Demian Bichir) from Chihuahua State Police to find the killer of a prominent anti-immigration U.S. Judge amidst a world of drug trafficking, illegal immigration, violence, corruption and prostitution. 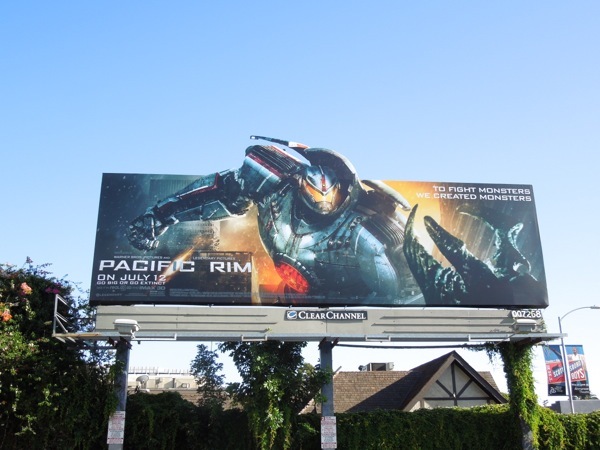 Sounds intriguing doesn't it, and these billboards do a great job of teasing the new cop drama. 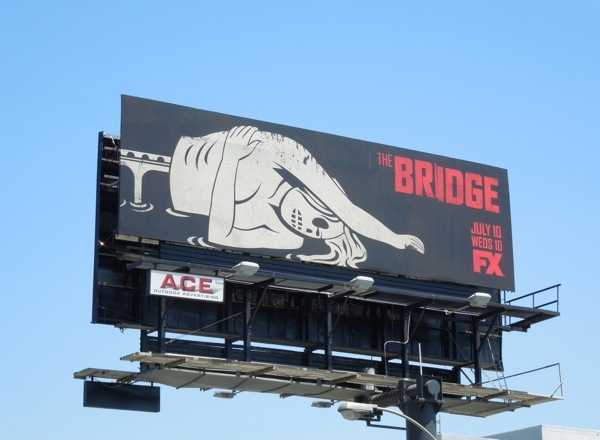 The photographed dead body creative with its arms outstretched and face down looks like it's a human bridge across the water, whilst the duo of split illustrated creatives convey the idea even more literally, and is even more effective as the billboards are placed on either side of L.A.'s Sunset Strip forming a bridge across the busy street. 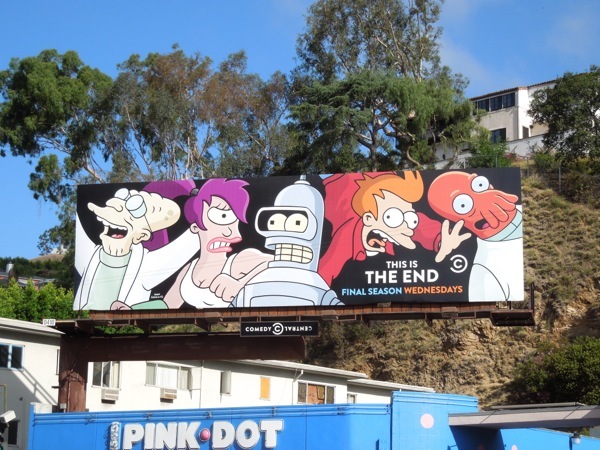 The illustration version's masked figure also has a Day of the Dead/Dia de Muertos vibe to it, which is also a great nod to the setting of the show. 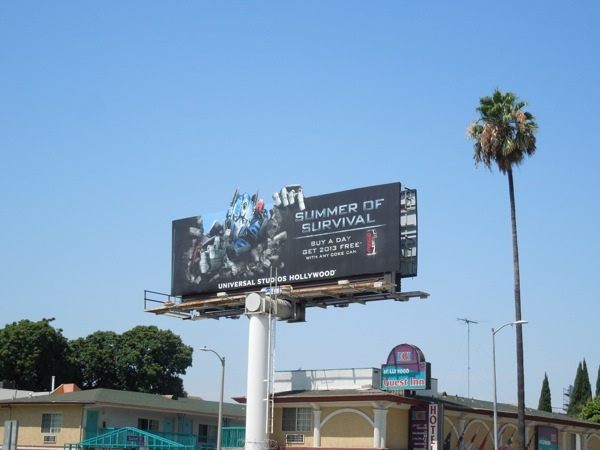 The series premiere creative was first spied along Sunset Boulevard on June 15, plus along Highland Avenue on June 26, whilst the split special installation along Sunset Strip was photographed on June 27, 2013. 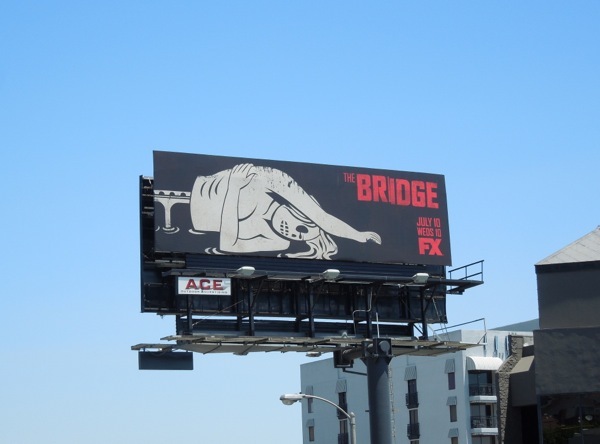 If you like these billboards, be sure to check out more cool advertising for FX shows here at Daily Billboard. 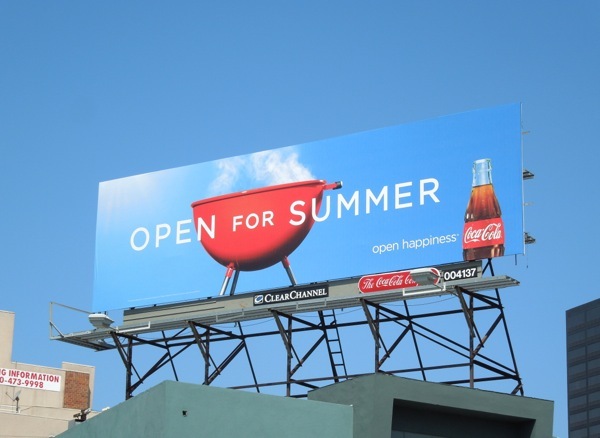 Whether you want to enjoy summertime in the great outdoors, on a beach, or in the garden having a barbecue, Coca-Cola is 'Open for Summer' (or more importantly wants you to open their bottles and cans to quench your thirst this Summer). 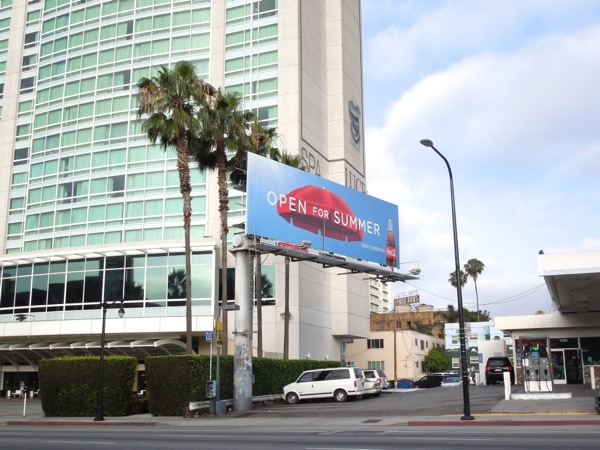 Daily Billboard loves Coca-Cola's latest ad campaign which is distinctive and totally on brand with its red imagery. 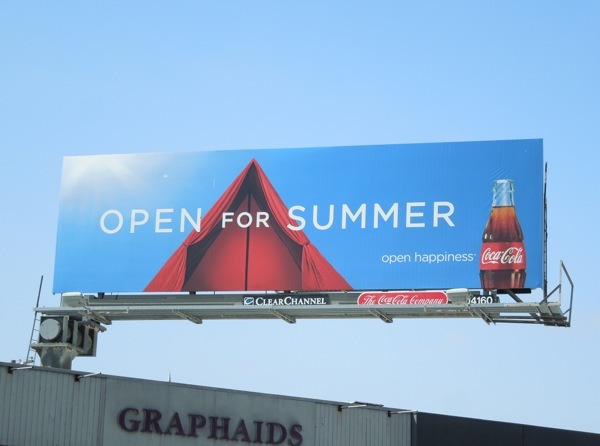 Beach umbrellas, BBQs and camping tents certainly sum up this time of year for a lot of people, so its interesting to see the infamous cola brand hitch its wagon to the Summer in the same way it tries to own Christmas with its association with its iconic Santa Claus imagery. 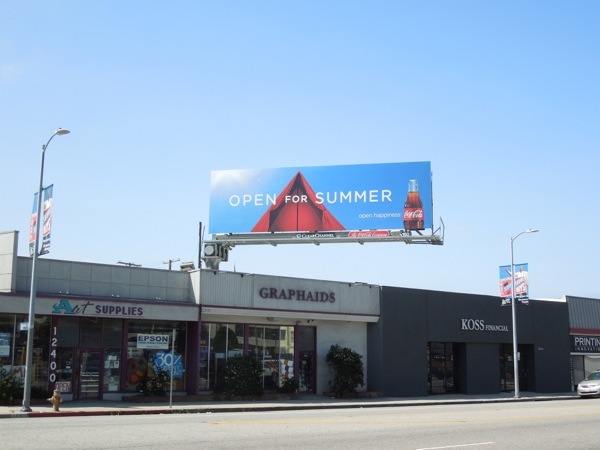 These arresting soda billboards were spied along Westwood Boulevard, Santa Monica Boulevard and Highland Avenue from June 15 to June 22, 2013. 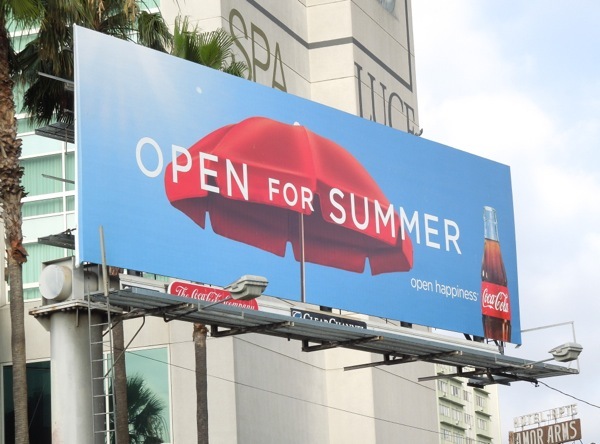 If you like this seasonal Coca-Cola ad campaign, be sure to check out these previous Coke Enjoy Summer billboards and these festive Coke Santa billboards. 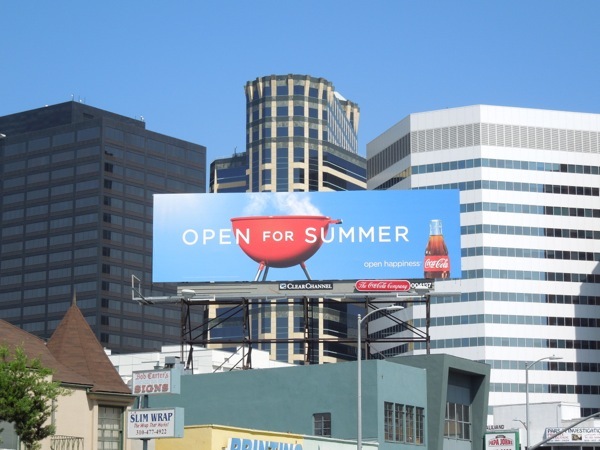 And remember, everything in moderation (you don't have to super-size it every time). 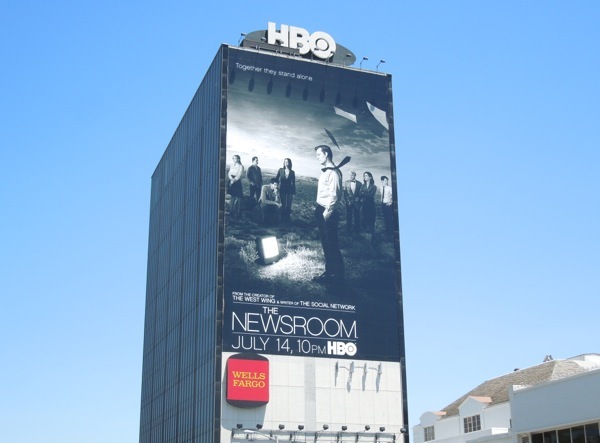 HBO's The Newsroom is back for its sophomore season and Daily Billboard for one is glad. 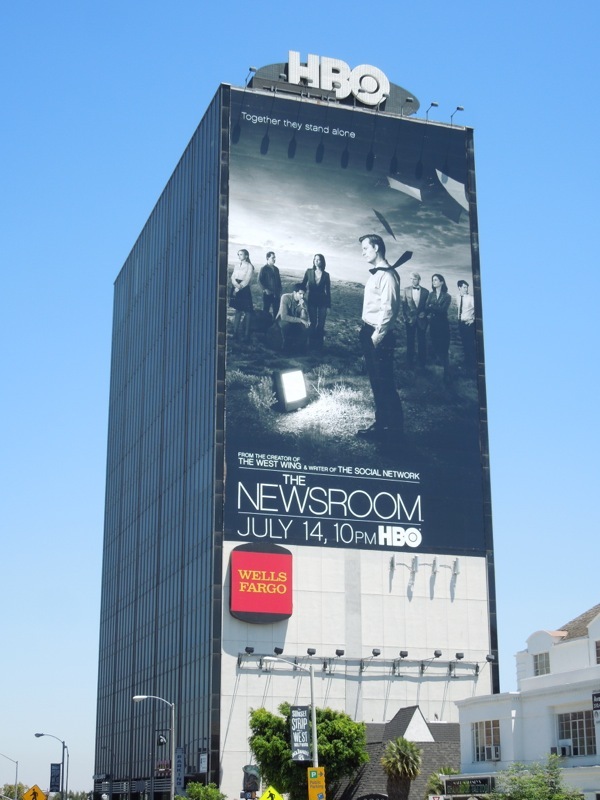 People seemed to be extremely polarized by the first season of Aaron Sorkin's political news drama, starring Jeff Daniels as controversial news anchor 'Will McAvoy'. 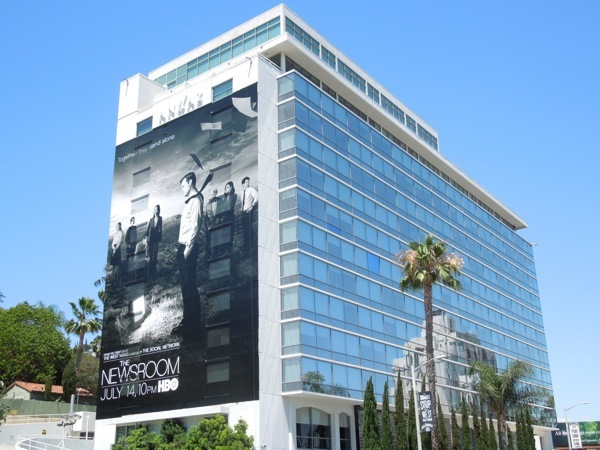 Critics bemoaned about the inaccurate depiction of the news industry, the stories overly critical nature of the Republican Party, or when they were trying to cover serious subjects, fluffy love triangles getting in the way. 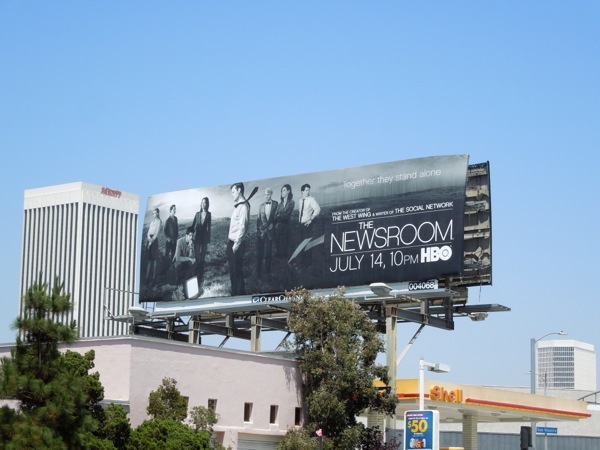 Daily Billboard loved it all, and the fun ensemble cast and their quirky relationships made all the politics-heavy storylines all the more palatable, and not simply like a current affairs or dull documentary series. 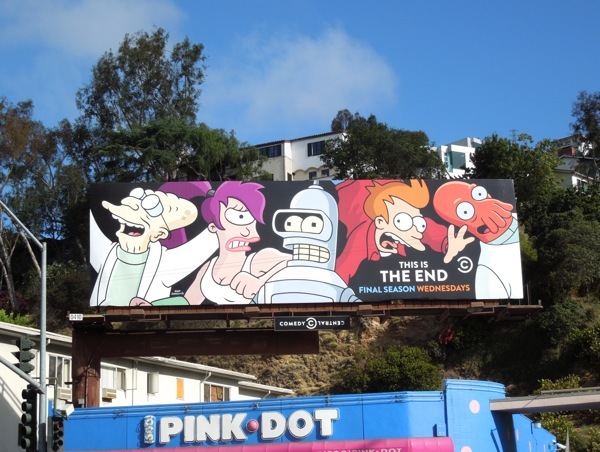 The striking new promotional billboard for season two perfectly sums up the show. 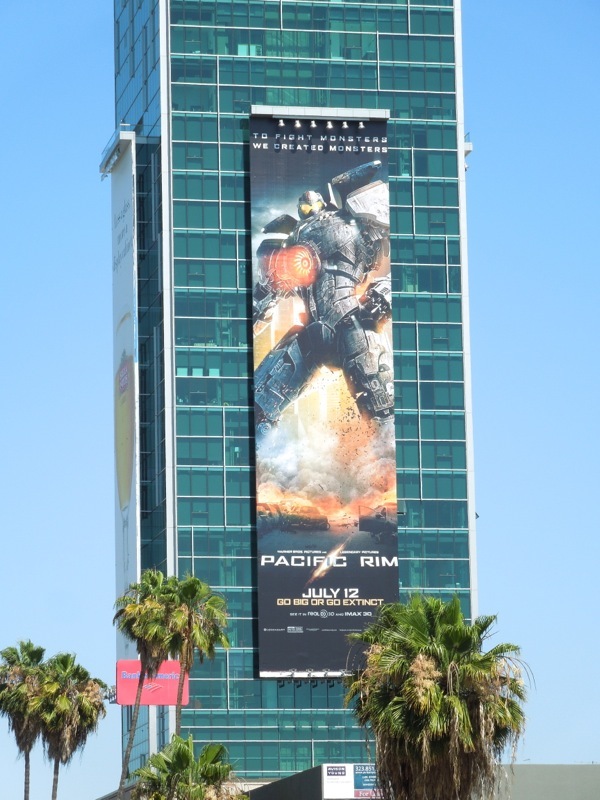 'Together they stand alone' indeed, in the wilderness of professional, factual journalism. 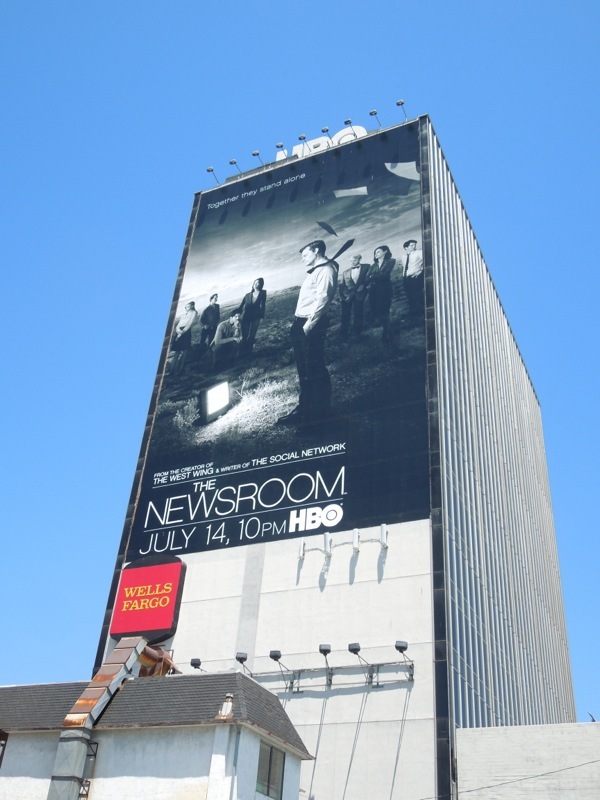 Trying to avoid the overly sensational news coverage and political bias of the majority of U.S. news shows. 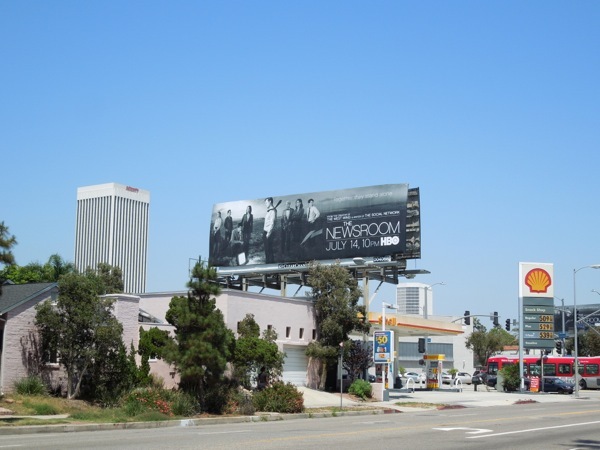 These atmospheric black and white second season billboards for The Newsroom were snapped along Olympic Boulevard on June 17, 2013. 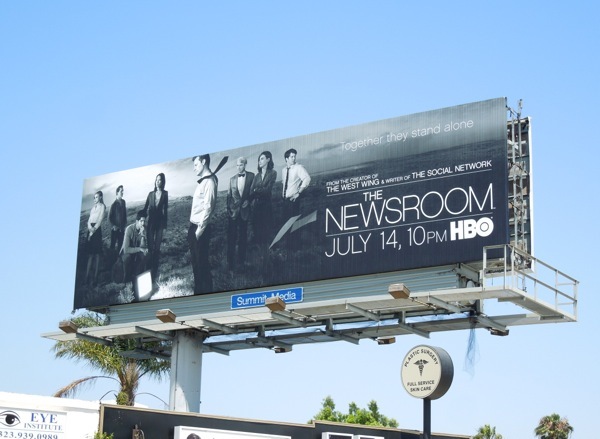 If you're a fan of the HBO drama, be sure to check out The Newsroom season one billboards. 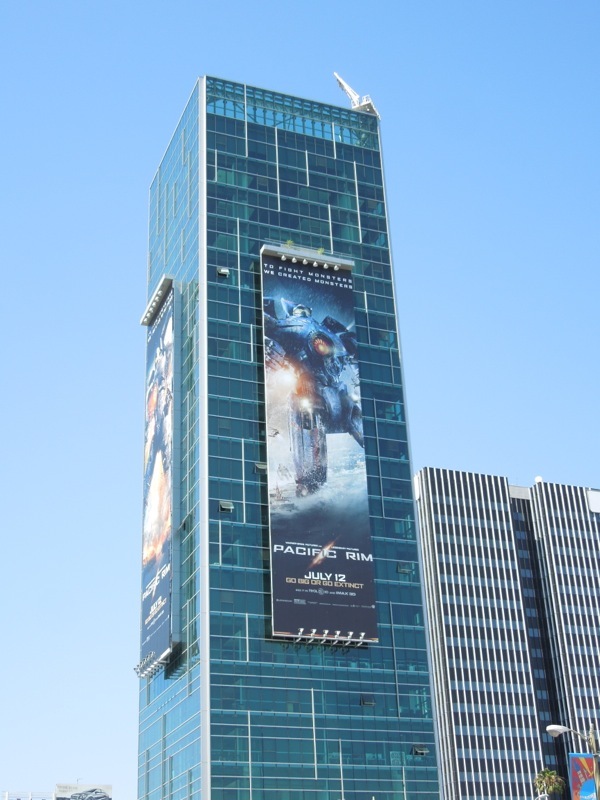 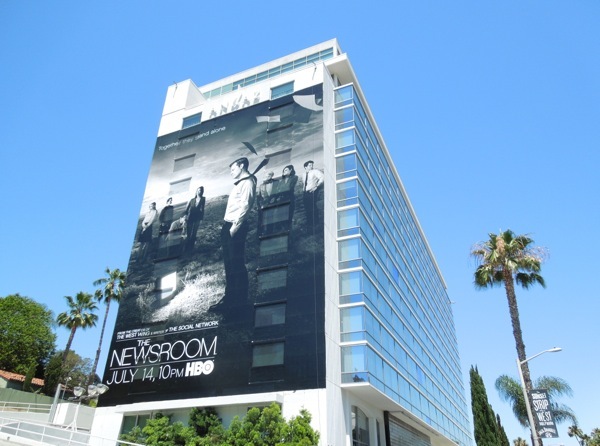 UPDATED: If you loved those landscape creatives, then you'll love this giant-sized billboard for the second season of The Newsroom towering over L.A.'s Sunset Strip on June 27, 2013. 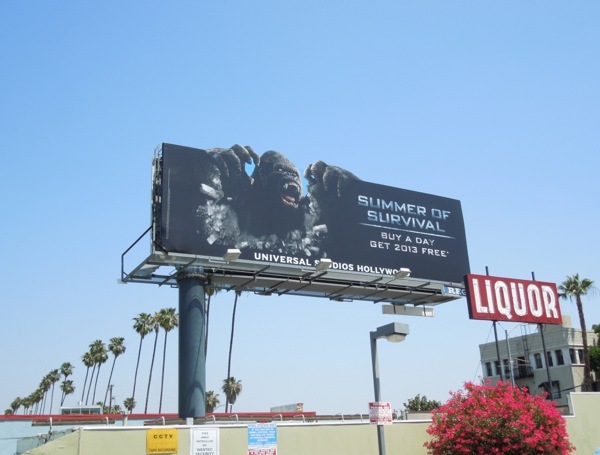 Daily Billboard wasn't sure how this imagery would work as a portrait format, but if anything the creative looks even more impactful and has more room to breathe, don't you think? 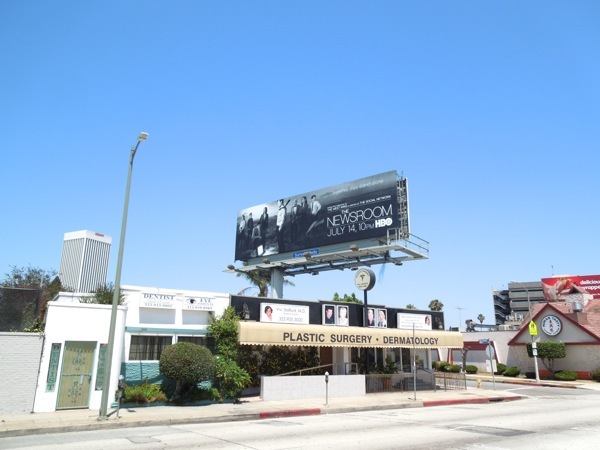 UPDATED: HBO really do know how to promote their new shows and seasons, and always seem to nab the best ad spots around town to reach the most eyeballs possible. 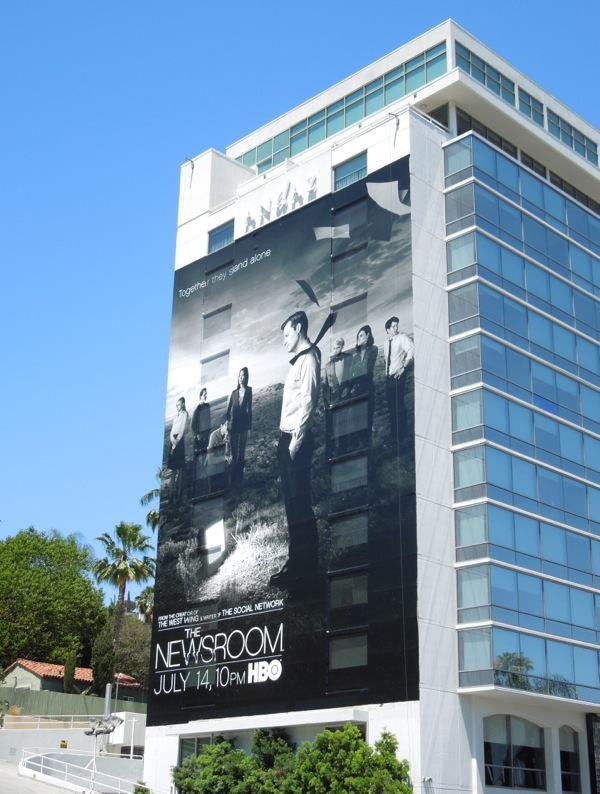 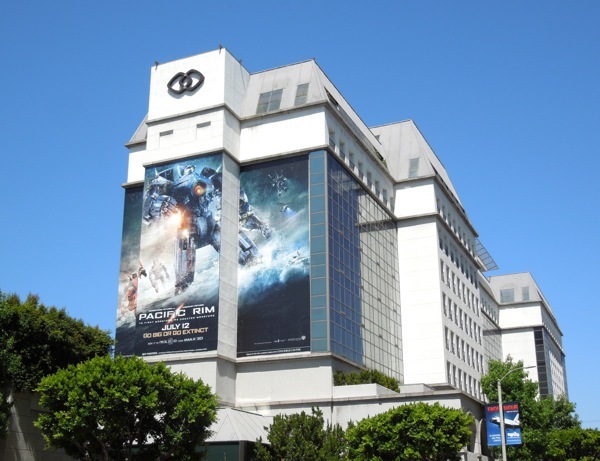 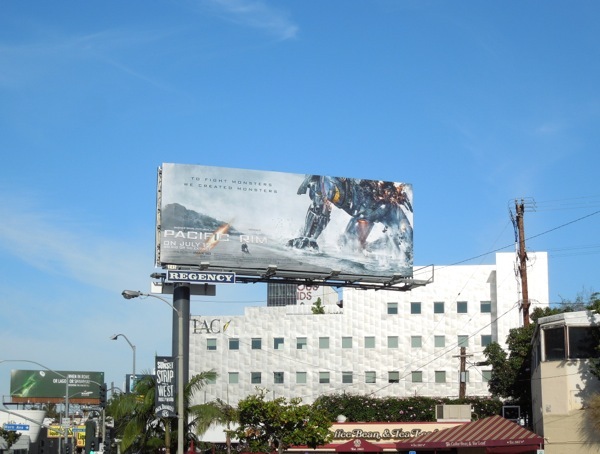 This second super-sized ad for the striking creative was spied on the side of West Hollywood's Andaz Hotel, further east along Sunset Boulevard, on June 28, 2013. 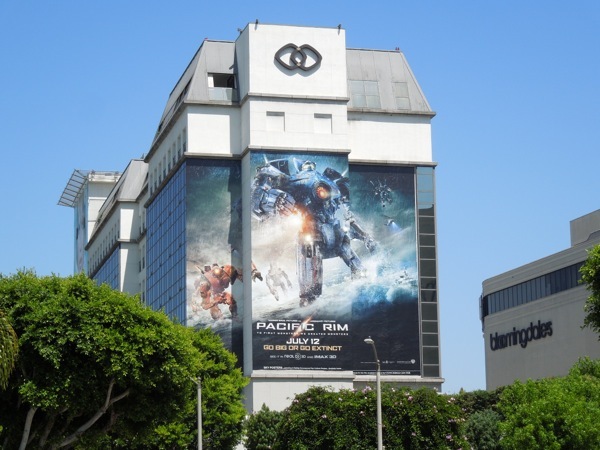 There's lots of huge Summer blockbusters this year, filled to the brim with superheroes, fast cars, zombies and starships, but Pacific Rim literally has the 'biggest' stars this season. 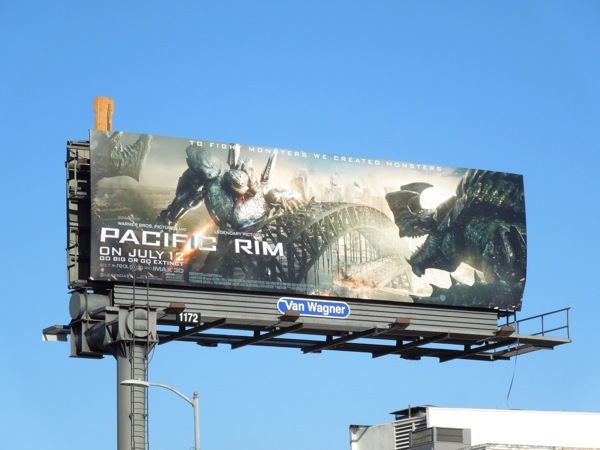 When a rift opens at the bottom of the Pacific Ocean letting in destructive gigantic beasts from an alternate dimension, it's up to humanity to build a better monster to safeguard mankind. 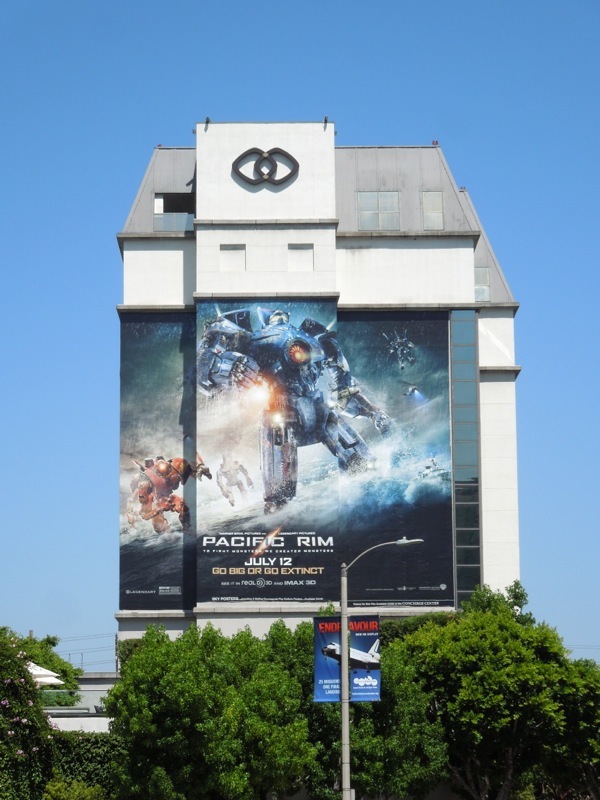 To combat these 'Kaiju' monsters, massive robotic machines called 'Jaegers' are constructed, which are piloted by two people whose minds are linked together to control the giant suits. 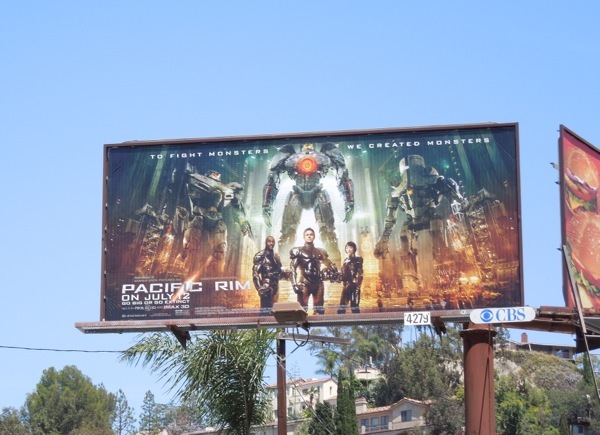 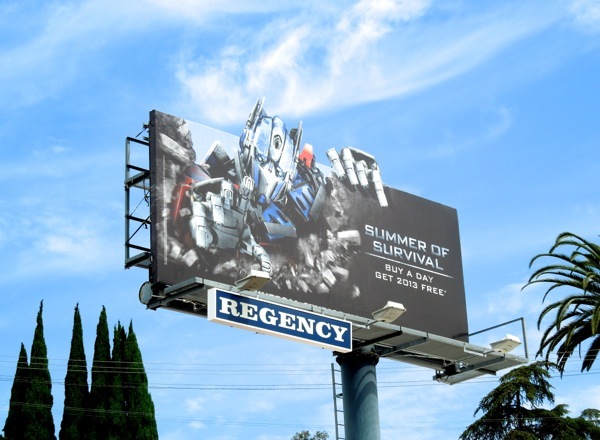 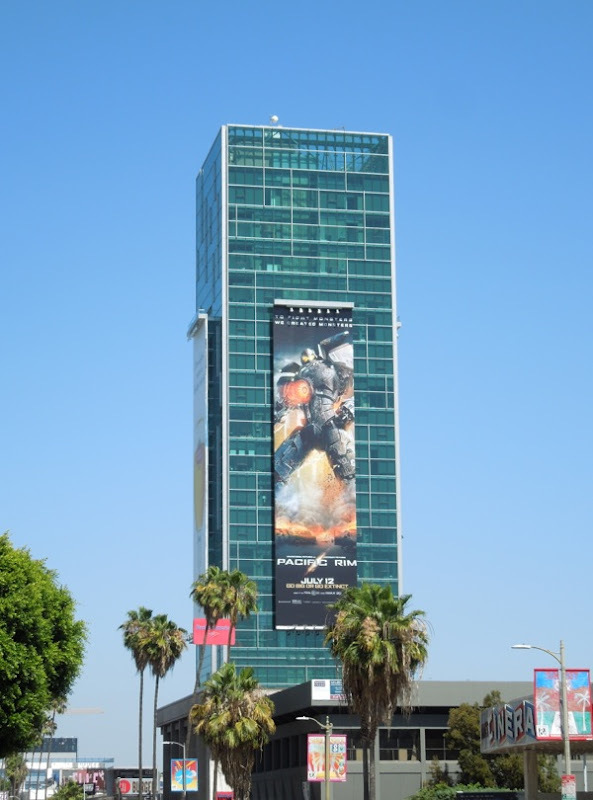 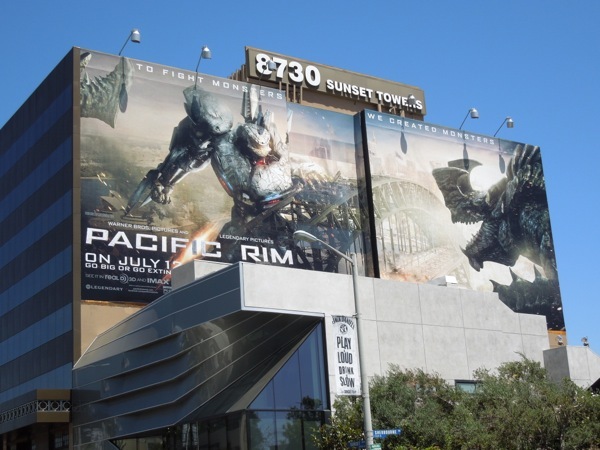 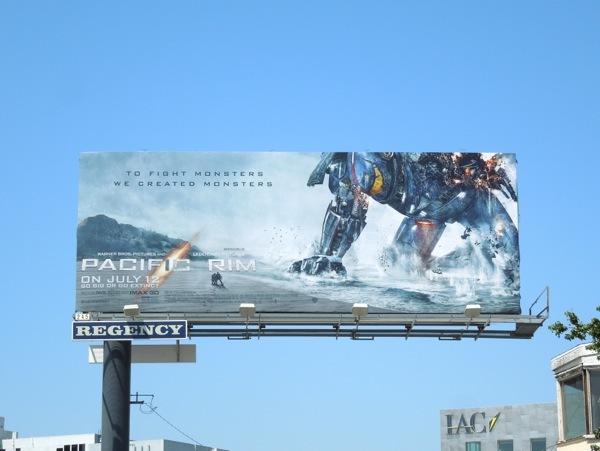 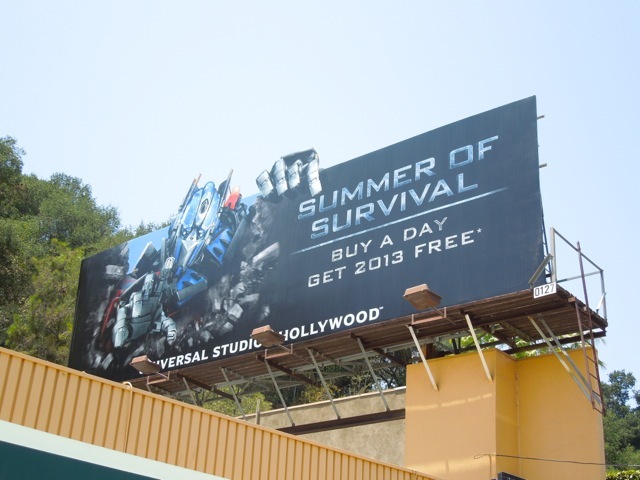 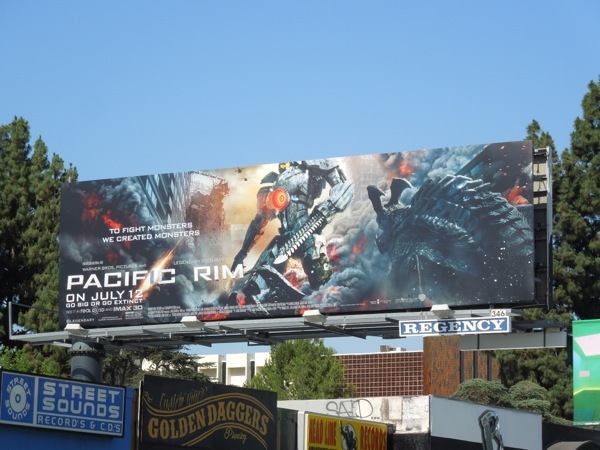 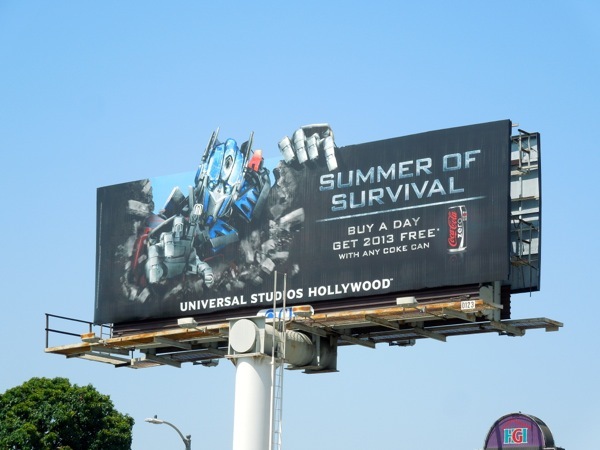 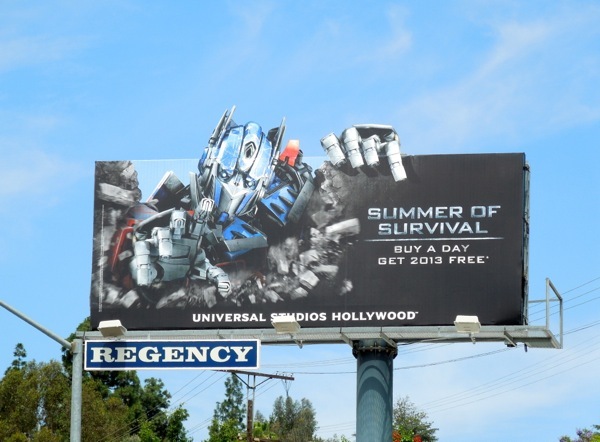 As you can see, this Summer L.A. has been invaded by these gigantic mech suits and their Godzilla-like adversaries. 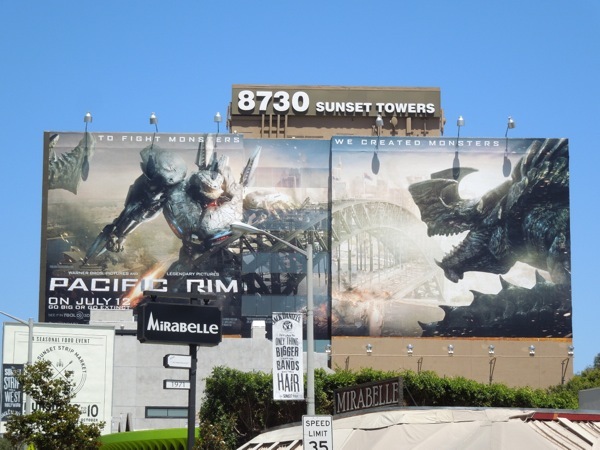 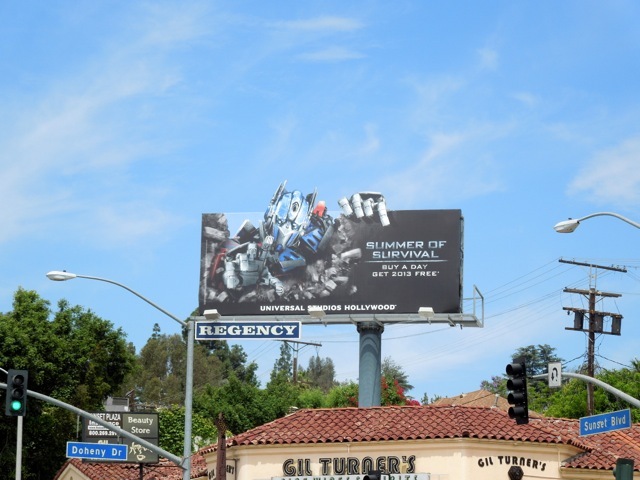 And it's a good thing that these billboard creatives do feature monsters as well as huge robots, otherwise they run the risk of looking a lot like previous Transformers movie billboard ad campaigns, which we've all seen before. 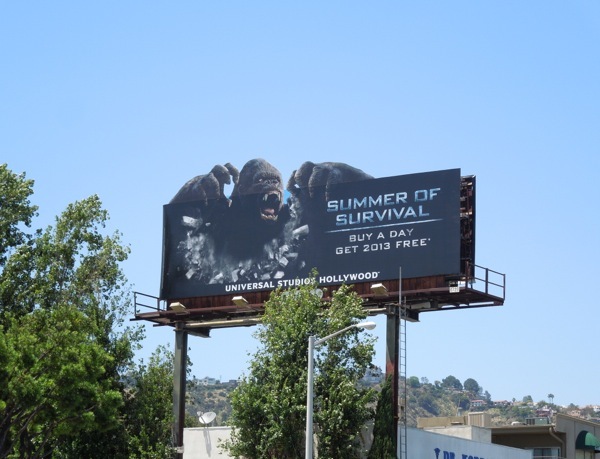 It's only fitting that this blockbuster movie has its own super-sized billboards along Beverly Boulevard, Sunset Boulevard and towering over Sunset & Vine in Hollywood. 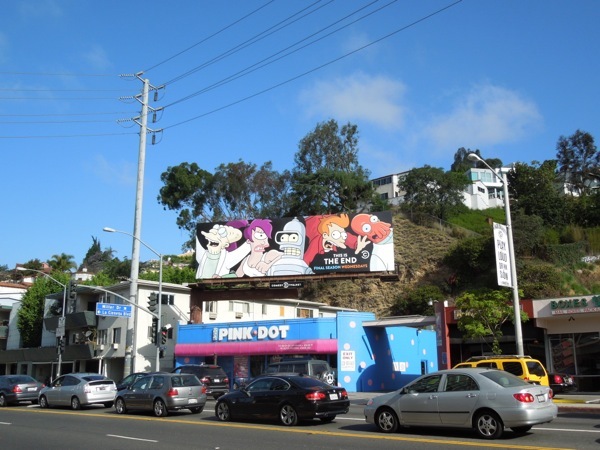 The special extension billboard was spied along La Brea Avenue, whilst the other landscape creatives were spotted along Sunset Boulevard, Cahuenga Boulevard and Melrose Avenue (and more besides) from June 8 though to June 21, 2013. 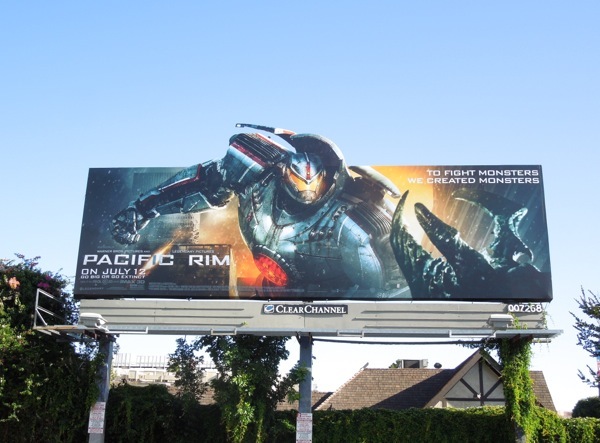 Only time will tell whether Guillermo del Toro's Pacific Rim will it be a monster smash, or monstrous mess?